The conference invites all the participants across the globe to attend and share their insights and convey recent developments in the field of Pharmacology and Neuropharmacology. With members from around the world focused on learning about neuropharmacology and its advances; this is your best opportunity to reach the largest assemblage of participants from the Neuropharmacology community. Conduct presentations, distribute information, meet with current and potential scientists, make a splash with new drug developments, and receive name recognition at this 3-day event. World-renowned speakers, the most recent techniques, developments, and the newest updates in Neuropharmacology are hallmarks of this conference. Neuropharmacology is the branch of pharmacology which deals with the action of drugs in the nervous system. Behavioral Neuropharmacology and Molecular neuropharmacology are the branches of neuropharmacology. Behavioral neuropharmacology is the study about how drugs affect human behavior (neuropsychopharmacology), and addiction affect human brain. Molecular neuropharmacology involves the study of neurons and their neurochemical Interactions. Behavioral and Molecular fields are very closely connected, since both are concerned with the interactions. In neuropharmacology we also study about the drugs and their targets that influence the functions of the nervous system (brain, spinal cord and peripheral nerves) in health and disease. It is the science in which medicines are used to deal with disorders of the nervous system. Specializing Physicians in the field of neurology are known as neurologists and they are trained to diagnose, treat, and manage patients with neurological disorders. Neurologists are trained to treat and diagnose adults and they are also involved in clinical research and clinical trials. Neurological disorders are ailments that affect the central nervous system (brain, brainstem and cerebellum), the peripheral nervous system (peripheral nerves - cranial nerves included), or the autonomic nervous system. Pediatric Neurology is the branch of medicine that involves the medical care of infants, children, and adolescents. A medical doctor who specializes in this area is known as a pediatrician, or pediatrician. Pediatricians work both in hospitals, particularly those working in its subspecialties such as neonatology, and as primary care physicians. It is the branch of science which is concerned with the study of neurochemicals, including neurotransmitters and other molecules such as psychopharmaceuticals and neuropeptides that influence the function of neurons. Neurobiochemistry is establish with a vision of assisting neurophysicians, neurosurgeons and other health care professionals to provide the best possible diagnosis of their patient’s disorders. The department is playing a key role in development of the super specialty in Neuroscience and provides the facility for patient care by performing many diagnostic tests, and keeps on looking to add on the latest ones. This field within neuroscience examines how neurochemicals influence the operation of neurons, synapses, and neural networks. Related Conferences: Neuropharmacology Conferences | Neuropharmacology Congress | Pharmacology Conferences | Pharma Conferences. 7th International Conference on Brain and Neurological Disorders ,Apr 10-12, 2018 Amsterdam, Netherlands ;18th Global Neurologists Annual Meeting on Neurology and Neurosurgery Conference, Nov 13-15, 2017, Athens, Greece; 10th International Conference on Vascular Dementia, February 22-23, 2018 Paris, France; 6th International Conference on Vascular Dementia , February 27th - March 01st, 2017 Amsterdam, Netherlands; 21st World Congress on Controversies in Neurology, March 17-20, 2016 Lisbon, Portugal. Nursing and Neuroscience both are consider within neuropharmacology. Health care sector focused on the care of individuals, families, and communities which are consider within nursing profession. Neuroscience or neurobiology is the scientific study of the nervous system with multidisciplinary branch of biology, which deals with the anatomy, biochemistry, molecular biology, and physiology of neurons and neural circuits. Neuroscience nurses also work with patients suffering from strokes and birth defects that have affected the nervous system. Neuroscience nursing is a profession that helps patients suffering from neurological problems. This field of medicine focuses on the health of the nervous system, including the brain and spinal cord. It deals with the cells which are capable to self-renewing and to proliferate without any limit, to produce progeny cells which terminally differentiate into neurons, astrocytes and oligodendrocytes. Stem cells are characterized by their capacity to differentiate into multiple cell types. They undergo symmetric or asymmetric cell division into two daughter cells. In symmetric cell division, both daughter cells are also stem cells. In asymmetric division, stem cell produces one stem cell and one specialized cell. The non-stem cell progeny of NSCs are referred to as neural progenitor cells. Some neural stem cells persist in the adult vertebrate brain and continue to produce neurons throughout life. NSCs primarily differentiate into neurons, astrocytes, and oligodendrocytes. Neural stem cell, largely undifferentiated cell originating in the central nervous system. Neural stem cells (NSCs) have the potential to give rise to offspring cells that grow and differentiate into neurons and glial cells (non-neuronal cells that insulate neurons and enhance the speed at which neurons send signals). Neurovirology is the scientific study of viruses capable of infecting the nervous system. It incorporates the related fields of virology, neuroscience, neurology, immunology, and molecular biology. Neurovirology fields main focus on the study of viruses’ capability of infecting the nervous system and to eliminate detrimental populations of neural cells and the studies of the use of viruses to trace neuroanatomical pathways, for gene therapy. It is Study of viruses which directly infect nerves. Clinical Neuropharmacology includes mechanisms of action, structure-activity relationships, and drug metabolism and pharmacokinetics, to practical clinical problems such as drug interactions, drug toxicity, and therapy for specific syndromes and symptomsis.Clinical Neuropharmacology is a branch of science in which we studied about the features, properties, responses and uses of drugs mainly their therapeutic effect in humans along with toxicology, pharmacodynamics and pharmacokinetics. Molecular Neuropharmacology is a branch of pharmacology which is concerned with the biochemical mechanisms that mechanisms are responsible for the actions of drugs. It is a program that focuses on the scientific study of the biochemical and biophysical characteristics of drugs at the molecular level and their interaction with, and effects on, biological macromolecules and cellular structures and processes. It is a peer-reviewed scientific journal published by the American Society for Pharmacology and Experimental Therapeutics. Biochemical Neuropharmacology is concerned with the effects of drugs on biochemical pathways underlying the pharmacokinetic and pharmacodynamic processes and the subsequent therapeutic and the toxicological processes Biochemical pharmacology is the study of the branch of medicine and biology concerned with the study of drug action and the pharmaceutical process is, however, outside the realms of biochemical pharmacology. Behavioral Neurology is the study of drug dependence and how drug addiction affects the human mind, Anxiety and Autism, Measuring neural activity in Drug abuse, Alcoholism- tolerance to and physical dependence, and properties are mediated through its effects on dopamine neurons in the mesolimbic reward pathway, which connects the ventral tegmental area to the nucleus accumbens, Post-traumatic stress disorder and borderline personality disorder, clinical depression and enhanced treatment. Psychopharmacology is the branch of psychology hesitant with the effects of drugs on the mind and behaviour. It is the scientific study of the effects drugs have on mood, sensation, thinking and behavior. It is notable from neuropsychopharmacology, which stresses the association between drug-induced changes in the functioning of cells in the nervous system and changes in realization and behavior. The term "psychopharmacology" was probably first coined by David Macht in 1920.The field of psychopharmacology studies a wide range of substances with various types of psychoactive properties, focusing primarily on the chemical interactions with the brain. Immunology is the term which is related to immunity is well-defined as that fragment of pharmacology that compacts with drugs acting on the immune system and, in accumulation, with the pharmacological actions of substances imitative from the immune system. It is a subdivision of biology that covers the study of immune systems in all organisms. Applications of Immunology have used in abundant disciplines of medicine, particularly in the fields of organ transplantation, oncology, virology, bacteriology, parasitology, psychiatry, and dermatology. Neurological disorders are a disorder of the nervous system. It may be Structural, biochemical or electrical abnormalities in the brain, spinal cord or other nerves can result in a range of symptoms. Some other neurological disorders are such as Paralysis, muscle weakness, poor coordination, and loss of sensation, seizures, confusion, pain and altered levels of consciousness. Neurological disorders also include epilepsy, Alzheimer disease and other dementias, cerebrovascular diseases including stroke, migraine and other headache disorders, multiple sclerosis, Parkinson's disease, neuron infections, brain tumours, traumatic disorders. 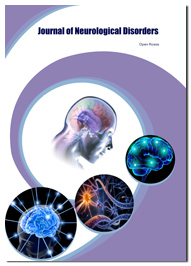 Neurological disorders treated within the specialties of neurology and clinical neuropsychology. Neurology treatments are used to treat neurological disorders. Blood tests can also be used to detect infections in the brain and spinal cord, bone marrow disease, damage to the blood vessels and toxins that affect the nervous system. Genetic testing of DNA from white cells in the blood can be used to diagnose congenital nervous disorders. Finally, the fluid that surrounds the brain and spinal cord can be analyzed to detect acute and chronic inflammation, meningitis and some rare infections. There are several key treatments for neurological disorders. Brain mapping is often used for brain tumors and epilepsy while brain stimulation is used for Parkinson’s disease. Neurosurgeons use three-dimensional imaging technology to operate on the brain so as to better target the precise area where a tumor is located and not produce any permanent neurological deficit. Deep brain stimulation uses battery-operated neurotransmitters implanted under the collarbone to prevent the abnormal brain signals that are produced in patients with Parkinson’s disease. Computional Neuroscience is a science that links the miscellaneous fields of neuroscience, cognitive science, and psychology with electrical engineering, computer science, mathematics, and physics. It is altered from psychological connectionism and from learning theories of disciplines, like machine learning, neural networks, and computational learning theory in that it emphasizes descriptions of functional and biologically realistic neurons and their physiology and dynamics. Computational models deals with the study of brain function in terms of the information processing properties of the structures that make up the nervous system. The Computational models are used in frame hypotheses that can be directly tested by psychological or biological experiments. The University of Queensland, Brisbane , Australia. Dec. 13 - 15, 2017; Computational and Systems Neuroscience, Denver & Breckenridge, Colorado. Mar. 1 - 6, 2018, Systems & Computational Neuroscience Down Under, Queensland Brain Institute, Twenty Seventh Annual Computational Neuroscience Meeting UW & Allen Institute, Seattle, Washington. Jul. 13 - 18,2018 , Research in Encoding And Decoding of Neural Ensembles, Nomikos Conference Centre, Santorini, Greece. Jun. 20 - 24, 2018. Neuropharmacology is an emerging field of science, rising exponentially with the understanding of nervous system and its related disorders, drugs and treatments. The major area of research includes mechanisms of novel drugs, neuro stem cell therapy, immunoglobulin therapy, gene therapy in neuronal disorders and neural engineering. The global market for medical imaging systems is estimated to be $17 billion in 2009 and is forecast to grow at a compound annual growth rate (CAGR) of 5.8% from 2009 to 2014. Ultrasound systems comprise 29% of the global medical imaging systems market. X-ray systems are next, with a 24% share. Positron emission tomography has seen growth but it is the smallest segment. The X-ray market is growing well due to the introduction of digital technology. Neuropharmacology 2018 welcomes attendees, presenters, and exhibitors from all over the world to Paris, France. We are delighted to invite you all to attend and register for the “10th World Congress on Neuropharmacology”(Euro Neuropharmacology-2018) which is going to be held during August 28-29, 2018 Paris, France. The organizing committee is gearing up for an exciting and informative conference program including plenary lectures, symposia, workshops on a variety of topics, poster presentations and various programs for participants from all over the world. We invite you to join us at the Euro Neuropharmacology-2018, where you will be sure to have a meaningful experience with scholars from around the world. All the members of Euro Neuro Pharmacology-2018 organizing committee look forward to meet you at Paris, France. The French pharmaceutical market is forecast to grow at a "tepid" CAGR of 0.7% from $46.2 billion in 2014 to $48.2 billion by 2020, according to a report from research and consulting firm Global Data. The volume of generic drug market increased from 23.6% in 2009 to 36.3% in 2016. The medical device market was valued at $18.2 billion in 2016 and is projected to grow at a CAGR of 4% to $22.5 billion by 2021. France was a relatively late entrant to the generics market compared to the UK and Germany. The report highlights that, in 2008, generic drugs accounted for only 21.7% of France's pharmaceutical market in terms of volume. This figure had increased to 30.2% by 2013. France is the second largest drug market in Europe with annual sales topping €36bn. Pharma remains a crucial sector for the economy and the fourth most important contributor to the nation's trade surplus. France is second in R&D investment, with a combined budget of around €5bn per year. France has a network of innovative companies operating across the drug value chain, in research, development, production and marketing. Vaccines, generics and consumer health are its strongest units and make up a crucial part of its diversification strategy. According to the company's projections, about 40 per cent of its profits by 2015 could come from 'pharmerging' markets as conditions worsen in Europe and the US. France wants to remain a key global player as medicine undergoes the revolution of personalization in wealthy, industrialized nation as patient care evolves and as the health industry professions converge to provide comprehensive management of diseases. 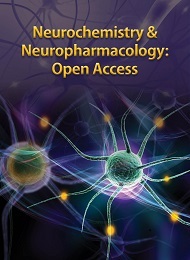 Current Neuropharmacology provides current, timely and comprehensive reviews and guest edited issues of all areas of neuropharmacology and related matters of neuroscience. The reviews cover the fields of molecular, cellular, and systems/behavioral aspects of neuropharmacology and neuroscience. 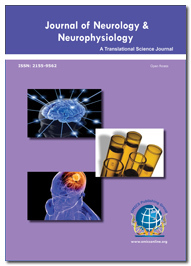 The journal serves as a comprehensive, multidisciplinary expert forum for neuropharmacologists and neuroscientists. Neuropharmacology is the study of how drugs influence cellular function in the nervous system, and the neural mechanisms through which they influence behavior. The studies are more concerned with the interactions of neurotransmitters, neuropeptides, neurohormones, neuromodulators, enzymes, second messengers, co-transporters, ion channels, and receptor proteins in the central and peripheral nervous systems. Advanced studies are being made to improvise developments in drugs to treat numerous diverse neurological disorders, including neurodegenerative diseases known to be Parkinson's disease and Alzheimer's disease, pain, addiction, psychological disorders and many more. Neuroscience: Neuroscience include intercellular signaling, intracellular signaling, cell injury and inflammation, neurodegenerative diseases, sensory transduction, neural processing, Gene regulation & genetics, Brain development & Cell differentiation, Bioenergetics & Metabolism, Neuronal plasticity & behavior, Molecular basis of disease etc. Neuropharmacology is a very broad region of science that encompasses many aspects of the nervous system from single neuron manipulation to entire areas of the brain, spinal cord, and peripheral nerves. To better understand the basis behind drug development, one must first understand how neurons communicate with one another. This article will focus on both behavioral and molecular neuropharmacology; the major receptors, ion channels, and neurotransmitters manipulated through drug action and how people with a neurological disorder benefit from this drug action. It is necessary to focus on neuropharmacology and the use of neuropharmaceuticals to transform brain processes in the way of enhancing memory, mood, sensation, thinking and attention in people. Neurology and Therapeutics is a unique forum to bring together worldwide distinguished academics in the field of neuroscience and neurology, Brain researchers, public health professionals, scientists, academic scientists, industry researchers, scholars to exchange about state of the art research and technologies. Aim of this conference is stimulate new ideas for treatment that will be beneficial across the spectrum of Brain disorders. Conference Series llc Ltd takes a great honor in announcing the commencement of 10th World Congress on Neuropharmacology August 28-29, 2018 Paris, France. Neurology-2017 has received a benevolent response from all over the world. This has been conducted with the aim and the categorical intent of promoting the developments of new perceptions and ideas for exploring the high level of knowledge reached by scientific community on Neuroscience. The extremely illustrious conference hosted by ConferenceSeries was marked with the attendance of young and brilliant researchers, clinicians, business delegates and talented student communities. The conference was organized around the theme Scientific quest to enhance the fascinating and mystified Neurons. The event implanted a firm relation of upcoming strategies in the field of Neurology with the scientific community. The conceptual and applicable knowledge shared, will also foster organizational collaborations to nurture scientific accelerations. This annual conference brought together eminent scientists, Neurologist, Neuroscience researchers, health care professionals, University professors, Neuroscience professionals in which many issues in Neuroscience research were discussed in depth to provide up-to-date information to the world. On the other hand, the meeting provided an opportunity for an open and animated sharing of ideas and experiences. ConferenceSeries offers its heartfelt appreciation to all the Organizing Committee Members, Chairs and Co-Chairs, Speakers, Students, Media Partners and Editorial Board Members of Journal of Neurology & Neurophysiology, Journal of Neuroinfectious Diseases and Journal of Neurological Disorders who supported the conference in every aspect for the awe-inspiring exhibition at the venue. Mark your calendars for the upcoming meeting; we are hoping to see you soon!